The Common CA Database (CCADB) is helping us protect individuals’ security and privacy on the internet and deliver on our commitment to use transparent community-based processes to promote participation, accountability and trust. It is a repository of information about Certificate Authorities (CAs) and their root and subordinate certificates that are used in the web PKI, the publicly-trusted system which underpins secure connections on the web. The Common CA Database (CCADB) paves the way for more efficient and cost-effective management of root stores and helps make the internet safer for everyone. For example, the CCADB automatically detects and alerts root store operators when a root CA has outdated audit statements or a gap between audit periods. This is important, because audit statements provide assurance that a CA is following required procedures so that they do not issue fraudulent certificates. Through the CCADB we are extending the checks and balances on root CAs to subordinate CAs to provide similar assurance that the subordinate CAs are not issuing fraudulent certificates. Root CAs, who are directly included in Mozilla’s program, can have subordinate CAs who also issue SSL/TLS certificates that are trusted by Firefox. There are currently about 150 root certificates in Mozilla’s root store, which leads to over 3,100 subordinate CA certificates that are trusted by Firefox. In our efforts to ensure that all subordinate CAs follow the rules, we require that they be disclosed in the CCADB along with their audit statements. Additionally, the CCADB is making it possible for Mozilla to implement Intermediate CA Preloading in Firefox, with the goal of improving performance and privacy. Intermediate CA Preloading is a new way to hande websites that are not properly configured to serve up the intermediate certificate along with its SSL/TLS certificate. When other browsers encounter such websites they use a mechanism to connect to the CA and download the certificate just-in-time. Preloading the intermediate certificate data (aka subordinate CA data) from the CCADB avoids the just-in-time network fetch, which delays the connection. Avoiding the network fetch improves privacy, because it prevents disclosing user browsing patterns to the CA that issued the certificate for the misconfigured website. Mozilla created and runs the CCADB, which is also used and contributed to by Microsoft, Google, Cisco, and Apple. Even though the common CA data is shared, each root store operator has a customized experience in the CCADB, allowing each root store operator to see the data sets that are important for managing root certificates included in their program. Makes root stores more transparent through public-facing reports, encouraging community involvement to help ensure that CAs and subordinate CAs are correctly issuing certificates. For example the crt.sh website combines information from the CCADB and Certificate Transparency (CT) logs to identify problematic certificates. Enables CAs to provide their annual updates in one centralized system, rather than communicating those updates to each root store separately; and in the future will enable CAs to apply to multiple root stores with a single application process. Maintaining a root store containing only credible CAs is vital to the security of our products and the web in general. The major root store operators are using the CCADB to promote efficiency in maintaining root stores, to improve internet security by raising the quality and transparency of CA and subordinate CA data, and to make the internet safer by enforcing regular and contiguous audits that provide assurances that root and subordinate CAs do not issue fraudulent certificates. As such, the CCADB is enabling us to help ensure individuals’ security and privacy on the internet and deliver on our commitment to use transparent community-based processes to promote participation, accountability and trust. We encourage the adoption of Web Authentication rather than the FIDO U2F API. 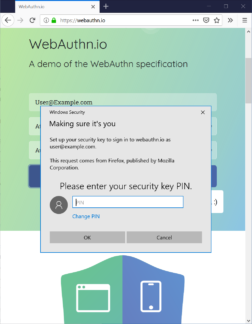 However, some large web properties are encountering difficulty migrating: WebAuthn works with security credentials produced by the FIDO U2F API. 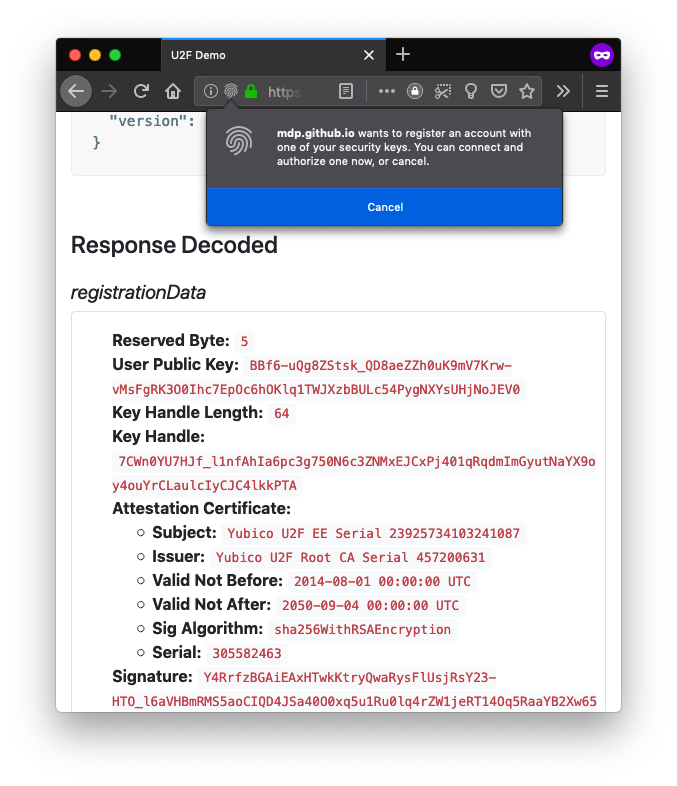 However, WebAuthn-produced credentials cannot be used with the FIDO U2F API. For the entities affected, this could lead to poor user experiences and inhibit overall adoption of this critical technology. To smooth out this migration, after discussion on the mozilla.dev.platform mailing list, we have decided to enable our support for the FIDO U2F API by default for all Firefox users. It’s enabled now in Firefox Nightly 68, and we plan for it to be uplifted into Firefox Beta 67 in the coming week. Firefox’s implementation of the FIDO U2F API accommodates only the common cases of the specification; for details, see the mailing list discussion. For those who are interested in using FIDO U2F API before they update to version 68, Firefox power users have successfully utilized the FIDO U2F API by enabling the “security.webauth.u2f” preference in about:config since Quantum shipped in 2017. Currently, the places where Firefox’s implementation is incomplete are expected to remain so. With the increase of using biometric mechanisms such as face recognition or fingerprints in devices, we are focusing our support on WebAuthn. It provides a sophisticated level of authentication and cryptography that will protect Firefox users. It’s important that the Web move to Web Authentication rather than building new capabilities with the deprecated, legacy FIDO U2F API. Now a published Recommendation at the W3C, Web Authentication has support for many more use cases than the legacy technology, and a much more robustly-examined browser security story. Ultimately, it’s most important that Firefox users be able to protect their accounts with the strongest protections possible. We believe the strongest to be Web Authentication, as it has improved usability via platform authenticators, capabilities for “passwordless” logins, and more advanced security keys and tokens. Mozilla maintains a database containing a set of “root” certificates that we use as “trust anchors”. This database, commonly referred to as a “root store”, allows us to determine which Certificate Authorities (CAs) can issue SSL/TLS certificates that are trusted by Firefox, and email certificates that are trusted by Thunderbird. Properly maintaining a root store is a significant undertaking – it requires constant effort to evaluate new trust anchors, monitor existing ones, and react to incidents that threaten our users. Despite the effort involved, Mozilla is committed to maintaining our own root store because doing so is vital to the security of our products and the web in general. It gives us the ability to set policies, determine which CAs meet them, and to take action when a CA fails to do so. A major advantage to controlling our own root store is that we can do so in a way that reflects our values. We manage our CA Certificate Program in the open, and by encouraging public participation we give individuals a voice in these trust decisions. Our root inclusion process is one example. We process lots of data and perform significant due diligence, then publish our findings and hold a public discussion before accepting each new root. Managing our own root store also allows us to have a public incident reporting process that emphasizes disclosure and learning from experts in the field. Our mailing list includes participants from many CAs, CA auditors, and other root store operators and is the most widely recognized forum for open, public discussion of policy issues. The value delivered by our root program extends far beyond Mozilla. Everyone who relies on publicly-trusted certificates benefits from our work, regardless of their choice of browser. And because our root store, which is part of the NSS cryptographic library, is open source, it has become a de-facto standard for many Linux distributions and other products that need a root store but don’t have the resources to curate their own. Providing one root store that many different products can rely on, regardless of platform, reduces compatibility problems that would result from each product having a unique set of root certificates. Finally, operating a root store allows Mozilla to lead and influence the entire web Public Key Infrastructure (PKI) ecosystem. We created the Common Certificate Authority Database (CCADB) to help us manage our own program, and have since opened it up to other root store operators, resulting in better information and less redundant work for all involved. With full membership in the CA/Browser Forum, we collaborate with other root store operators, CAs, and auditors to create standards that continue to increase the trustworthiness of CAs and the SSL/TLS certificates they issue. Our most recent effort was aimed at improving the standards for validating IP Addresses. The primary alternative to running our own root store is to rely on the one that is built in to most operating systems (OSs). However, relying on our own root store allows us to provide a consistent experience across OS platforms because we can guarantee that the exact same set of trust anchors is available to Firefox. In addition, OS vendors often serve customers in government and industry in addition to their end users, putting them in a position to sometimes make root store decisions that Mozilla would not consider to be in the best interest of individuals. Sometimes we experience problems that wouldn’t have occurred if Firefox relied on the OS root store. Companies often want to add their own private trust anchors to systems that they control, and it is easier for them if they can modify the OS root store and assume that all applications will rely on it. The same is true for products that intercept traffic on a computer. For example, many antivirus programs unfortunately include a web filtering feature that intercepts HTTPS requests by adding a special trust anchor to the OS root store. This will trigger security errors in Firefox unless the vendor supports Firefox by turning on the setting we provide to address these situations. Principle 4 of the Mozilla Manifesto states that “Individuals’ security and privacy on the internet are fundamental and must not be treated as optional.” The costs of maintaining a CA Certificate Program and root store are significant, but there are fundamental benefits for our users and the larger internet community that undoubtedly make doing it ourselves the right choice for Mozilla. For years, web users have endured major privacy violations. Their browsing continues to be routinely and silently tracked across the web. 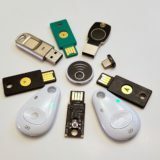 Tracking techniques have advanced to the point where users cannot meaningfully control how their personal data is used. At Mozilla, we believe that privacy is fundamental, and that pervasive online tracking is unacceptable. Simply put: users need more protection from tracking. In late 2018, Mozilla announced that we are changing our approach to anti-tracking, with a focus on providing tracking protection by default, for the benefit of everyone using Firefox. In support of this effort, today we are releasing an anti-tracking policy that outlines the tracking practices that Firefox will block by default. At a high level, this new policy will curtail tracking techniques that are used to build profiles of users’ browsing activity. In the policy, we outline the types of tracking practices that users cannot meaningfully control. Firefox may apply technical restrictions to the parties found using each of these techniques. With the release of our new policy, we’ve defined the set of tracking practices that we think users need to be protected against. As a first step in enforcing this policy, Firefox includes a feature that prevents domains classified as trackers from using cookies and other browser storage features (e.g., DOM storage) when loaded as third parties. While this feature is currently off by default, we are working towards turning it on for all of our users in a future release of Firefox. Furthermore, the policy also covers query string tracking, browser fingerprinting, and supercookies. We intend to apply protections that block these tracking practices in Firefox in the future. Parties not wishing to be blocked by this policy should stop tracking Firefox users across websites. To classify trackers, we rely on Disconnect’s Tracking Protection list, which is curated in alignment with this policy. If a party changes their tracking practices and updates their public documentation to reflect these changes, they should work with Disconnect to update the classification of their domains. This initial release of the anti-tracking policy is not meant to be the final version. Instead, the policy is a living document that we will update in response to the discovery and use of new tracking techniques. We believe that all web browsers have a fundamental obligation to protect users from tracking and we hope the launch of our policy advances the conversation about what privacy protections should be the default for all web users. Clarification (2019-01-28): Added a sentence to clarify the current status of the cookie blocking feature. Today we are continuing to improve our Firefox Monitor service. To help users who might have otherwise missed breach news or email alerts, we are integrating alerts into Firefox that will notify users when they visit a site that has been breached in the past. This feature integrates notifications into the user’s browsing experience. To power this feature, we use a list of breached sites provided by our partner, Have I Been Pwned (HIBP). 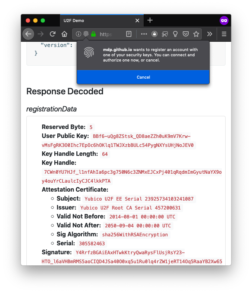 Neither HIBP nor Mozilla can confirm that a user has changed their password after a breach, or whether they have reused a breached password elsewhere. So we do not know whether an individual user is still at risk, and cannot trigger user-specific alerts. If the user has never seen a breach alert before, Firefox shows an alert when they visit any breached site added to HIBP within the last 12 months. After the user has seen their first alert, Firefox only shows an alert when they visit a breached site added to HIBP within the last 2 months. We believe this 12-month and 2-month policy are reasonable timeframes to alert users to both the password-reuse and unchanged-password risks. A longer alert timeframe would help us ensure we make even more users aware of the password-reuse risk. However, we don’t want to alarm users or to create noise by triggering alerts for sites that have long since taken significant steps to protect their users. That noise could decrease the value and usability of an important security feature. This is an interim approach to bring attention, awareness, and information to our users now, and to start getting their feedback. When we launched our Monitor service, we received tremendous feedback from our early users that we’re using to improve our efforts to directly address users’ top concerns for their online service accounts. For service operators, our partner, Troy Hunt, already has some great articles on how to prevent data breaches from happening, and how to quickly and effectively disclose and recover from them. Over the longer term, we want to work with our users, partners, and all service operators to develop a more sophisticated alert policy. We will base such a policy on stronger signals of individual user risk, and website mitigations. As announced in August, Firefox is changing its approach to addressing tracking on the web. As part of that plan, we signaled our intent to prevent cross-site tracking for all Firefox users and made our initial prototype available for testing. This policy is part of Enhanced Tracking Protection, a new feature aimed at protecting users from cross-site tracking. More specifically, it prevents trackers from following users around from site to site and collecting information about their browsing habits. We aim to bring these protections to all users by default in Firefox 65. Until then, you can opt-in to the policy by following the steps detailed at the end of this post. What does this policy block? Our documentation on MDN provides significantly more technical detail on the policy, including: how domains are matched against the Tracking Protection list, how Firefox blocks storage access for tracking domains, and the types of third-party storage access that are currently blocked. Does this policy break websites? Third-party cookie blocking does have the potential to break websites, particularly those which integrate third-party content. For this reason, we’ve added heuristics to Firefox to automatically grant time-limited storage access under certain conditions. We are also working to support a more structured way for embedded cross-origin content to request storage access. In both cases, Firefox grants access on a site-by-site basis, and only provides access to embedded content that receives user interaction. More structured access will be available through the Storage Access API, of which an initial implementation is available in Firefox Nightly (and soon Beta and Developer Edition) for testing. This API allows domains classified as trackers to explicitly request storage access when loaded in a third-party context. The Storage Access API is also implemented in Safari and is a proposed addition to the HTML specification. We welcome developer feedback, particularly around use cases that can not be addressed with this API. If you find a broken site, you can tell us about it directly in Firefox with the “Report a Problem” button in the Control Center. If you encounter problems in the implementation of this policy, please let us know on Bugzilla. Site owners may also be interested in our debugging tools. Does this mean Firefox will no longer support the Tracking Protection feature? Tracking Protection is still available to users who want to opt-in to block all tracking loads; with our updated UI, this feature can be enabled by setting “All Detected Trackers” to “Always”. All tracking loads will continue to be blocked by default in Private Browsing windows. Expect to hear more from us in the coming months as we continue to strengthen Firefox’s default-on tracking protection. TL;DR: Firefox Nightly now supports encrypting the TLS Server Name Indication (SNI) extension, which helps prevent attackers on your network from learning your browsing history. You can enable encrypted SNI today and it will automatically work with any site that supports it. Currently, that means any site hosted by Cloudflare, but we’re hoping other providers will add ESNI support soon. Although an increasing fraction of Web traffic is encrypted with HTTPS, that encryption isn’t enough to prevent network attackers from learning which sites you are going to. It’s true that HTTPS conceals the exact page you’re going to, but there are a number of ways in which the site’s identity leaks. This can itself be sensitive information: do you want the person at the coffee shop next to you to know you’re visiting cancer.org? There are four main ways in which browsing history information leaks to the network: the TLS certificate message, DNS name resolution, the IP address of the server, and the TLS Server Name Indication extension. Fortunately, we’ve made good progress shutting down the first two of these: The new TLS 1.3 standard encrypts the server certificate by default and over the past several months, we’ve been exploring the use of DNS over HTTPS to protect DNS traffic. This is looking good and we are hoping to roll it out to all Firefox users over the coming months. The IP address remains a problem, but in many cases, multiple sites share the same IP address, so that leaves SNI. Why do we need SNI anyway and why didn’t this get fixed before? Ironically, the reason you need an SNI field is because multiple servers share the same IP address. When you connect to the server, it needs to give you the right certificate to prove that you’re connecting to a legitimate server and not an attacker. However, if there is more than one server on the same IP address, then which certificate should it choose? The SNI field tells the server which host name you are trying to connect to, allowing it to choose the right certificate. In other words, SNI helps make large-scale TLS hosting work. We’ve known that SNI was a privacy problem from the beginning of TLS 1.3. The basic idea is easy: encrypt the SNI field (hence “encrypted SNI” or ESNI). Unfortunately every design we tried had drawbacks. The technical details are kind of complicated, but the basic story isn’t: every design we had for ESNI involved some sort of performance tradeoff and so it looked like only sites which were “sensitive” (i.e., you might want to conceal you went there) would be willing to enable ESNI. As you can imagine, that defeats the point, because if only sensitive sites use ESNI, then just using ESNI is itself a signal that your traffic demands a closer look. So, despite a lot of enthusiasm, we eventually decided to publish TLS 1.3 without ESNI. However, at the beginning of this year, we realized that there was actually a pretty good 80-20 solution: big Content Distribution Networks (CDNs) host a lot of sites all on the same machines. If they’re willing to convert all their customers to ESNI at once, then suddenly ESNI no longer reveals a useful signal because the attacker can see what CDN you are going to anyway. This realization broke things open and enabled a design for how to make ESNI work in TLS 1.3 (see Alessandro Ghedini’s writeup of the technical details.) Of course, this only works if you can mass-configure all the sites on a given set of servers, but that’s a pretty common configuration. This is brand-new technology and Firefox is the first browser to get it. At the moment we’re not ready to turn it on for all Firefox users. However, Nightly users can try out this enhancing feature now by performing the following steps: First, you need to make sure you have DNS over HTTPS enabled (see: https://blog.nightly.mozilla.org/2018/06/01/improving-dns-privacy-in-firefox/). Once you’ve done that, you also need to set the “network.security.esni.enabled” preference in about:config to “true”). This should automatically enable ESNI for any site that supports it. Right now, that’s just Cloudflare, which has enabled ESNI for all its customers, but we’re hoping that other providers will follow them. You can go to: https://www.cloudflare.com/ssl/encrypted-sni/ to check for yourself that it’s working. During the development of TLS 1.3 we found a number of problems where network devices (typically firewalls and the like) would break when you tried to use TLS 1.3. We’ve been pretty careful about the design, but it’s possible that we’ll see similar problems with ESNI. In order to test this, we’ll be running a set of experiments over the next few months and measuring for breakage. We’d also love to hear from you: if you enable ESNI and it works or causes any problems, please let us know. On the Internet, 20 years is an eternity. TLS 1.0 will be 20 years old in January 2019. In that time, TLS has protected billions – and probably trillions – of connections from eavesdropping and attack. In that time, we have collectively learned a lot about what it takes to design and build a security protocol. Though we are not aware of specific problems with TLS 1.0 that require immediate action, several aspects of the design are neither as strong or as robust as we would like given the nature of the Internet today. Most importantly, TLS 1.0 does not support modern cryptographic algorithms. The Internet Engineering Task Force (IETF) no longer recommends the use of older TLS versions. A draft document describes the technical reasons in more detail. We will disable TLS 1.1 at the same time. TLS 1.1 only addresses a limitation of TLS 1.0 that can be addressed in other ways. Our telemetry shows that only 0.1% of connections use TLS 1.1. Our telemetry shows that many sites already use TLS 1.2 or higher (Qualys says 94%). TLS 1.2 is a prerequisite for HTTP/2, which can improve site performance. We recommend that sites use a modern profile of TLS 1.2 unless they have specialized needs. For sites that need to upgrade, the recently released TLS 1.3 includes an improved core design that has been rigorously analyzed by cryptographers. TLS 1.3 can also make connections faster than TLS 1.2. Firefox already makes far more connections with TLS 1.3 than with TLS 1.0 and 1.1 combined. 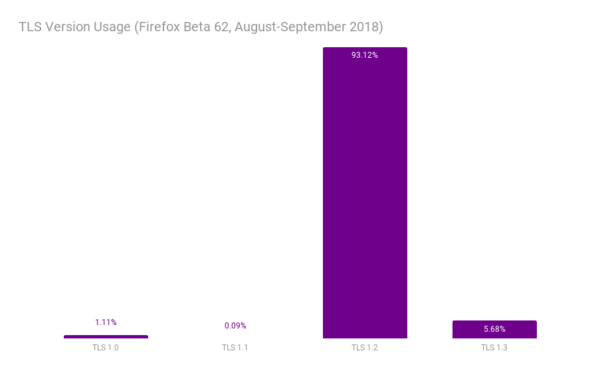 Be aware that these changes will appear in pre-release versions of Firefox (Beta, Developer Edition, and Nightly) earlier than March 2020. We will announce specific dates when we have more detailed plans. We understand that upgrading something as fundamental as TLS can take some time. This change affects a large number of sites. That is why we are making this announcement so far in advance of the March 2020 removal date of TLS 1.0 and TLS 1.1. Other browsers have made similar announcements. Chrome, Edge, and Safari all plan to make the same change.